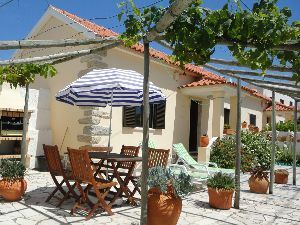 Comfortable cottage for 4 persons just 500 meters from the beach at Praia das Maçãs. One double bedroom, one twin bedroom,private courtyard garden & BBQ area, fully equipped. Bed linens & towels provided.